The 'Glenlee' is one of only 5 Clyde-built sailing ships left in the world and is berthed outside the new Riverside Museum on the River Clyde in Glasgow. She is also known as the 'Tall Ship' and it is a fitting tribute to her that she has been 'retired' to the city of her birth. The 'Glenlee' was built in 1896 by Anderson Rodger and Company for Sterling and Company of Glasgow. Within two years she was sold to Ferguson's of Dundee and at the start of the 20th Century was sold again to R Thomas and Co., managers of the Flint Castle Shipping Company of Liverpool and renamed the 'Islamount'. Under the name of the Islamount she travelled all over the world to places such as Rotterdam, Vancouver, Perti, Chile and Falmouth. During the First World War she was used by the British Merchant Navy as a cargo vessel. She made her last voyage for the merchant navy in November 1919, sailing from Java to Cette in France with a cargo of sugar. 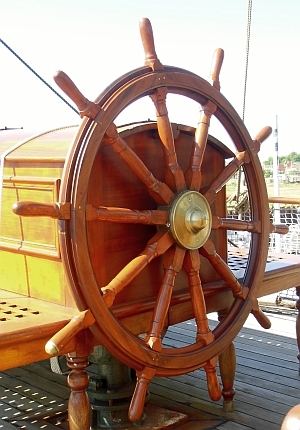 She was then sold to Italian owners in Genoa and given her third name, Clarastella, but only for a very short time before being sold to the Spanish Navy in 1922, as a training vessel. She was renamed the 'Galatea' and was powered by diesel engines and was able to carry 17 officers, 30 petty officers and 260 ratings and boys. It is doubtful if she would have survived if she had not been bought by the Spanish Navy. She remained as a training vessel until 1969, when she was decommissioned, until being discovered in 1990 in Seville Harbour. She was bought at auction by the Clyde Maritime Trust and cost 40,000 GBP to buy and a further 20,000 GBP to insure, before being towed back to Glasgow and restored. 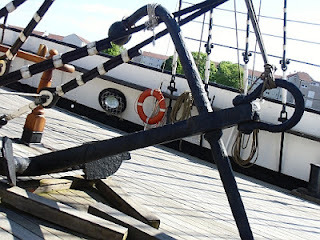 Originally she was berthed at Yorkhill Quay, but was moved further up the Clyde to her new home outside the Harbourside Museum in Glasgow in Spring 2011. 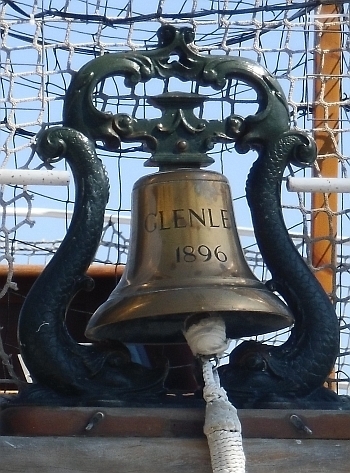 In November 1999 it was announced that the Glenlee was recognised as part of the Core Collection of historic vessels in the UK and is one of only 43 vessels recognised by the National Historic Ships Committee as being important in maritime heritage. 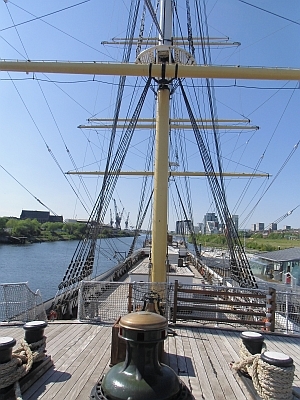 Today the Glenlee is open to members of the public who can visit for a small fee of 5.00 GBP. 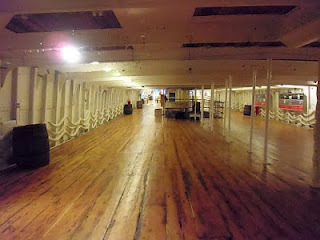 Volunteers help maintain the ship and she can also be hired out for events. It is worth visiting the Glenlee when in Glasgow and take a walk along her decks. She is a reminder of the a bygone age when the banks of the River Clyde were filled with shipyards building some of the best sailing vessels in the world. Sail Area: 25,000 sq. 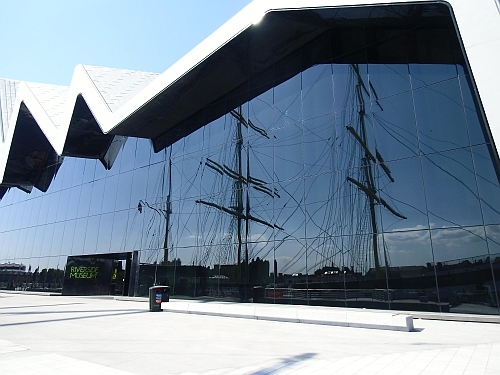 Ft.
First Bus runs a service number 100, between George Square, The Tall Ship/Riverside and Kelvingrove Art Galleries. Service is approximately every 15 minutes. From the M8 west bound take junction 19 on to the Clydeside expressway (A814), or east bound via the Clyde tunnel and head towards the city centre. Follow the brown tourist signs for The Tall Ship.